At the 1936 Berlin Summer Olympics, track and field star Jesse Owens ran himself straight into international glory by winning four gold medals. 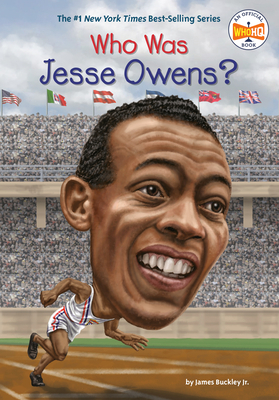 But the life of Jesse Owens is much more than a sports story. Born in rural Alabama under the oppressive Jim Crow laws, Owens's family suffered many hardships. As a boy he worked several jobs like delivering groceries and working in a shoe repair shop to make ends meet. But Owens defied the odds to become a sensational student athlete, eventually running track for Ohio State. He was chosen to compete in the Summer Olympics in Nazi Germany where Adolf Hitler was promoting the idea of “Aryan superiority.” Owens’s winning streak at the games humiliated Hitler and crushed the myth of racial supremacy once and for all. James Buckley, Jr. has written more than 50 books for kids, including Who Was Ernest Shackleton?